In a world reserved for the wealthiest of the wealthy, a world invisible to everyone but the highest echelon, they play a game where the stakes are infinitely high. Only members of the elite Billionaire's Club are welcome. It is a playground for Tycoons, and the Winner Takes All. 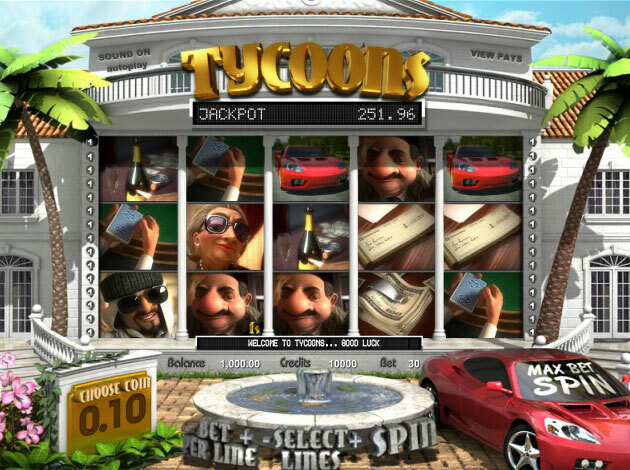 Tycoons is a five reel, three rows and thirty payline video slot game. 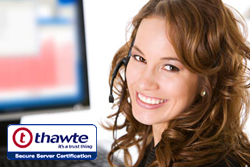 The objective of the game is to match symbols from left to right on any active payline. So you first need to choose the value of the coin you wish to wager in each bet, then select the number of lines that you wish to play on. Then you need to select the number of bet per line you wish to play with and start the game by clicking on the spin or max bet button. Symbols on this game include fancy cars, cheque books, cash, gold blocks, laptops, briefcase, and the four tycoons themselves of course. Apart from the chic design to this game as you will see the body of this game is set at a façade of a big villa with palm trees on the side and a water fountain in the middle of the scene along which is parked a fancy red sports car. You will also hear the royal style of music in the background of this game, as well as when spinning on the reels or clicking on the max bet button which is the red sports car, you will hear the engine revving too. All these great sound effects add even more value to this avant-garde lifestyle game. Receive three or more “dealer dealing cards” symbol in order to trigger the bonus round and predict who of the four tycoons will win the hand! Here you will be transported to a second screen where you will see all of the tycoons sitting down on the poker table along with the dealer in their luxurious Billionare’s club. Here you will need to select one of the tycoons that you think will win the hand. Once you choose, the dealer starts off the game by giving each of the players two cards each. They will start to bet one by one, and after the dealer deals the first three cards which is also known as the “flop” you will see them either placing more bets, or fold if they think that they have a weak hand. If the player you chose wins the hand, you will be awarded even more extra credits, although if not you will still earn credits! Receive the small “fs” on any winning combination or three or more characters symbol to trigger free spins! When free spins are triggered, either reel 2, 3 or 4 will become a wild reel. During the free spins all character wins matching the original triggering character earn double credits! Get the blocks of gold symbol, money in clip symbol and the cheque book symbol in any order and on any payline to trigger the instant credit click me bonus feature! Pick one of the three symbols and trigger an instant credit win! After revealing your prize, you will also be able to see the other prizes which were available for you to choose from. And when that is ended you will see a fountain of cash coming out from the middle area of the video slot showing the big win animation. Land on five briefcase symbols on max bet spin, and win the progressive jackpot which is continuously growing with each and every spin you make. The winnings from the briefcase icons are added to your payline wins.